A striking new modern hotel is on the horizon in Miami Beach, ready to draw the world’s most discerning travelers to the South Florida hotspot this summer. 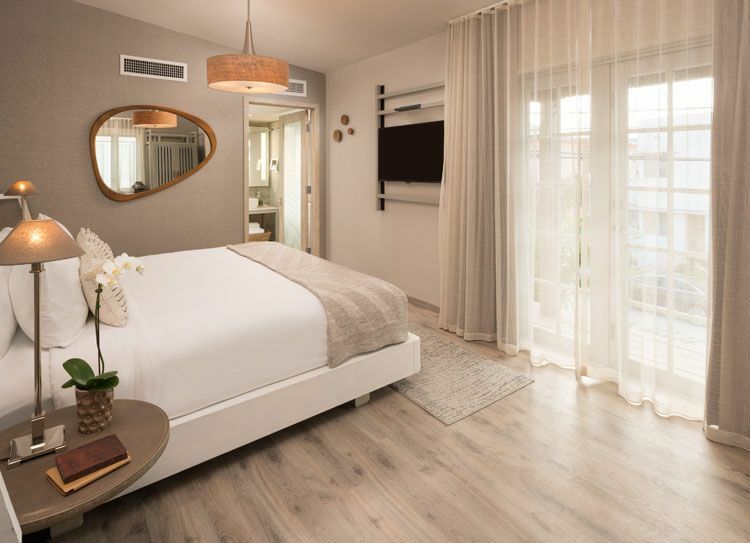 Upon its debut, Lennox Hotel Miami Beach will be an intimate, bold luxury boutique property offering stylish and sophisticated accommodations and an authentic Miami experience. Located in what was once the Peter Miller Hotel, built in 1936 and at the heart of the area’s Historic District, Lennox Hotels has undertaken a complete transformation of the property, maintaining its legacy by retaining its original Art Deco and Mediterranean Revival architectural style exterior and transforming it into a livable landmark. The transformation of the hotel’s original structure was the work of veteran Miami architect Beilison Gomez. Upon stepping into the hotel’s front doors, located on the corner of Collins Ave. and 19th street, guests expecting a lobby will be welcomed by bartenders at the hotel bar, the ultimate lounge area to mingle with locals or relax after a day of travel and exploration. To the right, guests will find the lobby and to the left, a walkway will lead them to the hotel’s upscale restaurant. Travelers will find ultimate comfort in one of 119 contemporary guestrooms, each enhanced by natural elements, handcrafted furnishings from abroad and green and upcycled materials that were meticulously curated by acclaimed Argentinean interior designer Juan Ciavarella. Soft neutral tones and unique textiles combine to create a tranquil environment in rooms that will range in categories from Terrace Poolside with direct pool access to Balcony King with a private balcony overlooking the colorful streets of Miami Beach. Each will be complete with amenities such as a Nespresso Vertuoline with complimentary Nespresso capsules, 47-inch LG TVs, a stocked mini-bar and local artisan stacks (extra cost), in-room safe and complimentary Wi-Fi. At the center of the property’s four interconnected buildings, a Mediterranean-style courtyard features an intimate swimming pool and poolside bar offering al fresco dining and serving innovative cocktails. The hotel’s Patagonia Boardroom will provide an ideal setting for intimate meetings of up to 12 people, a multi-use space equipped with the latest technology. Additional amenities for guests include complimentary shuttle service within a one-mile radius, including to the hotel’s private area on the beach that offers lounge chairs, umbrellas and towels. The seamless service from the hotel’s staff will make guests feel welcomed in an upscale atmosphere that exudes unpretentious sophistication, where service is synchronized. Unparalleled signature service will include concierge services, room service, laundry and more. 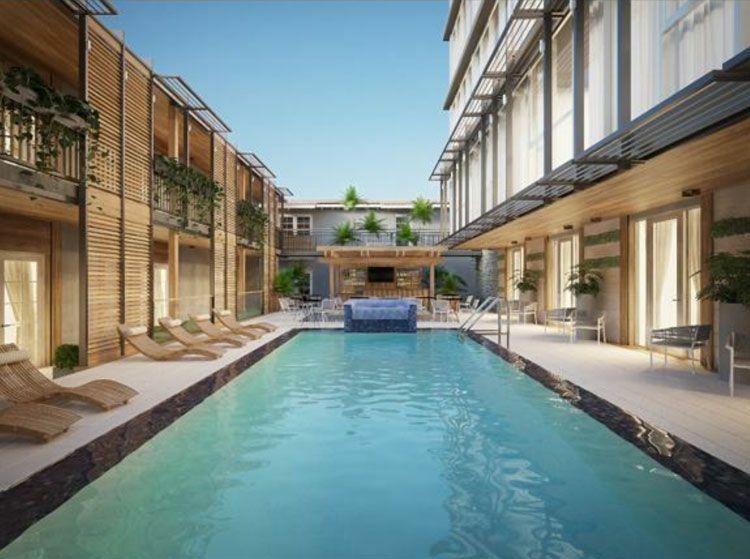 Lennox Hotel Miami Beach is scheduled to open its doors this summer. For more information visit https://miami.lennoxhotels.com/.